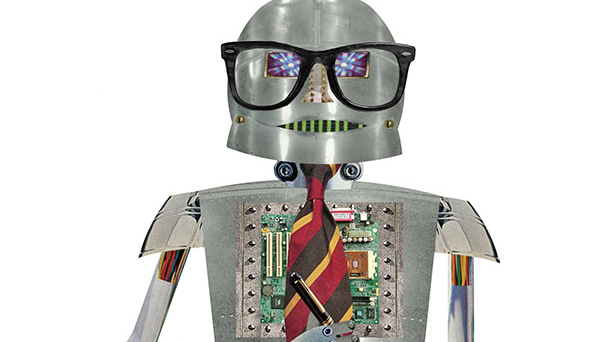 Will AI Replace Accountants? " Home / Blog / Will AI Replace Accountants? Will Accountants be replaced by robots and artificial intelligence? Over the years, a number of science fiction films, television shows and novels have depicted a future where portions of our lives are replaced with robots and artificial intelligence. Everything from the factories to the storefronts is populated not by humans, but by cold, calculated examples (not that accountants are any warmer) of the finest that “modern technology” has to offer. According to one recent report from Forrester, however, this may not be too far from the truth: It is predicted that robots and AI will replace up to 7% of all jobs in the U.S. by as soon as 2025. Though we probably don’t have to worry too much about a robot uprising (yet), to say that technology is already impacting accountants is an understatement. As accountants we’re already experiencing incredible leaps in tech; bots and cloud accounting solutions make it easier than ever for small business owners to manage their accounting and bookkeeping tasks with the efficiency that only their larger counterparts formerly enjoyed. With these changes, there is a shift in the role accountants play in working with their business clients. This shift will accelerate as more businesses jump to the cloud. Many accountants are riding this wave and will thrive, but many others may suffer the same fate as the dinosaurs. This is predicated on the idea that entrepreneurs know how to use these new gadgets and tools in the first place. Anyone can blindly enter numbers into a software program; understanding what they mean is the key. Just because you know what the cloud is, does not mean you know how to leverage it to your full advantage. At the end of the day, what the cloud accounting revolution really enables isn’t a future where accountants are out of a job, but a very real and valuable opportunity for accountants to help their business clients in ways that were not available even five years ago. Consider the important role that accountants of tomorrow will play, just by being willing to embrace cloud accounting and value pricing with open arms. In this not-too-distant future, businesses will be able to afford powerful CFO advice without the cost of a full-time employee. All of those menial, time-consuming tasks that used to eat up hours of a day will be gone. This doesn’t eliminate the need for accountants, but rather empowers them. It frees up time in their day to work with clients in a more effective way. Think for a moment about how beneficial it would be to work off a single general ledger from anywhere, at any time and in real time. This is not science fiction; the technology is here, allowing accountants to deliver more value-added, business advisory services. Accountants are no longer just bookkeepers; they can now tackle tasks like business planning, controls, succession and more. Better technology creates better accountants, which enables better business owners to make better decisions. I reached out to certified public accountants (CPAs) and accountants in my network to get their view on the future and how they can help business clients. All said business owners need better advice, from startup through growth, in order to beat the eight out of 10 failure rate reported by the U.S. Bureau of Labor. Rather than cloud-based software systems that supersede the role of accountants, there is more than enough evidence to suggest that businesses actually have a lot to gain when a symbiotic relationship exists between the two. Technology empowers accountants and in turn, accountants wield technology as the powerful, meaningful weapon that it really is. The more accountants and small business owners can start collaborating as partners, businesses will start seeing better outcomes. For all the major benefits that technology brings to the table, however, there is one quality that current accountants have that will never be replaceable: humanity. Artificial intelligence may be able to quickly identify the “smart” move, but how good is it at identifying the “right” move for the right client at the right time? The humanity of accountants is something that you can never automate, never replace and never take for granted. The most important thing to take away from all this is that the aforementioned opportunities won’t just be for millennials. In fact, established accountants and CPAs with years of experience working with many different companies may be the best qualified to take on this new role. What might be a unique problem for your business is something a truly savvy accountant has already addressed with other clients many times over. By empowering them to assist in bigger decisions beyond the numbers, you will have know-how not available just years ago.